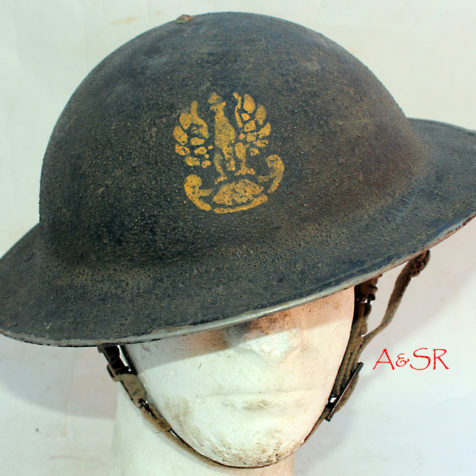 South African Mark II helmet. 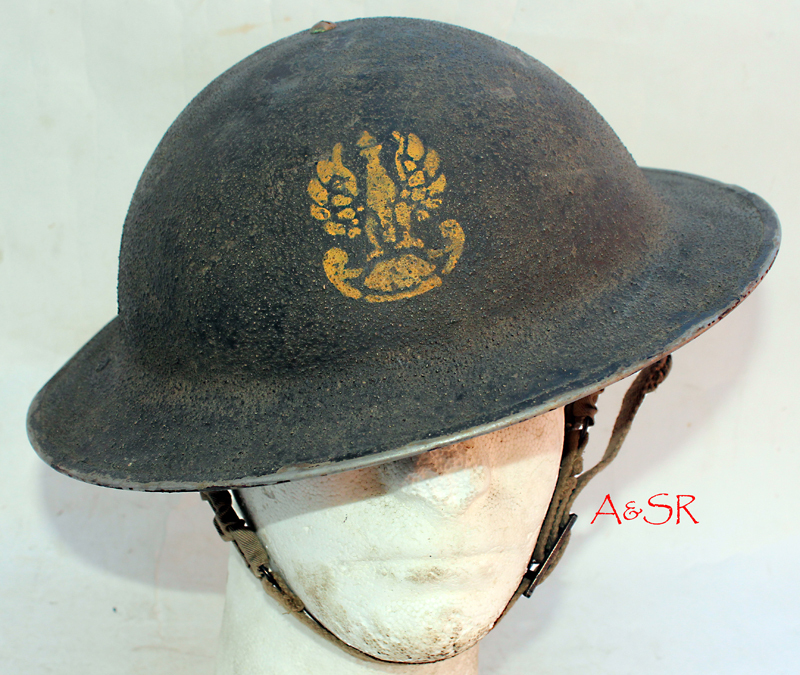 This one was done up as it would have appeared on the Italian front worn by a member of the Polish Free Army. The helmet was painted first desert tan as most South African helmets were. It was then over painted dark olive for service in Italy. 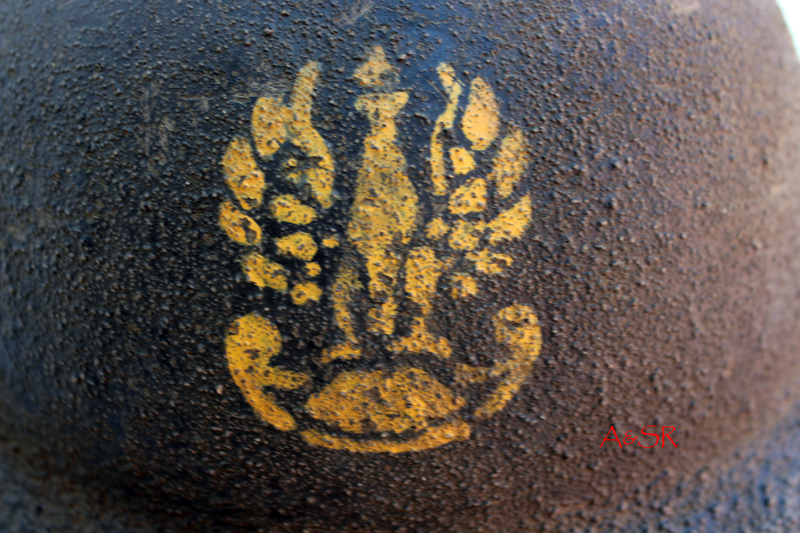 The Polish insignia was stenciled in anti-gas paint. If you want the helmet worn by the brave Poles who stormed Cassino, this is it.